We love it when our customers are thrilled with our work. At RootsTech 2016, we met geneablogger True Lewis who writes about her slave and European ancestors on her blog, NoTeS To MySeLf. She set up an appointment with a personal designer at the conference and we were able to talk about different options for her custom chart. True shared the positive experience she had with Family ChartMasters in a recent post from her blog and granted us permission to link to her blog in addition to sharing her thoughts here. "I love looking for different genealogy products that will make my family history research stand out. I'm always looking for something detailed and special for my family...I attended RootsTech 2016 in Salt Lake City, Utah. I made my appointment to meet with a consultant 2 weeks in advance. I met Ms. Janet on a Thursday...We discussed and went over ideas i had on how we could make this chart come to life. This is the end product of what I had in mind." She enjoyed how easy it was to work with Family ChartMasters. "I was able to choose every detail on this chart. It was very personalized. It came out to have a total of 35 pictures. A Bible verse. Trimming, edging and sepia background. The size is 24" x 36" in stature. There is no limit to what you can do for your chart...It arrived fast and in a shipping tube." As we work with our clients, we are happy to help you get your genealogy chart exactly the way you want it and it shows. True writes, "They were very patient with me in getting all the details from my tree I keep on Ancestry.com. I had a few revisions and they worked with every move I made...I'm excited about presenting this to the family. It feels so good to see all that I have come from....I can't even express my thanks to Family ChartMasters and their staff for making this masterpiece for me. It will be cherished for centuries to come. Thank you for all your patience, kindness and professionalism through the whole process." True's experience with us made us smile. 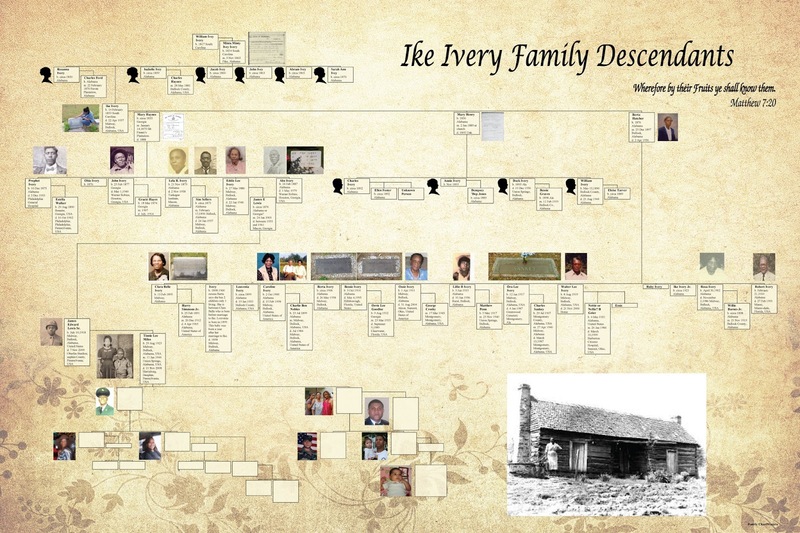 We would love to help you with your family history chart as well. Take a look at our gallery for ideas and inspiration and then visit our website for a free consultation. We want to help you create the perfect chart for your family. Thank you so much. It's been a pleasure. Yes family history can really make a big impact on your life.